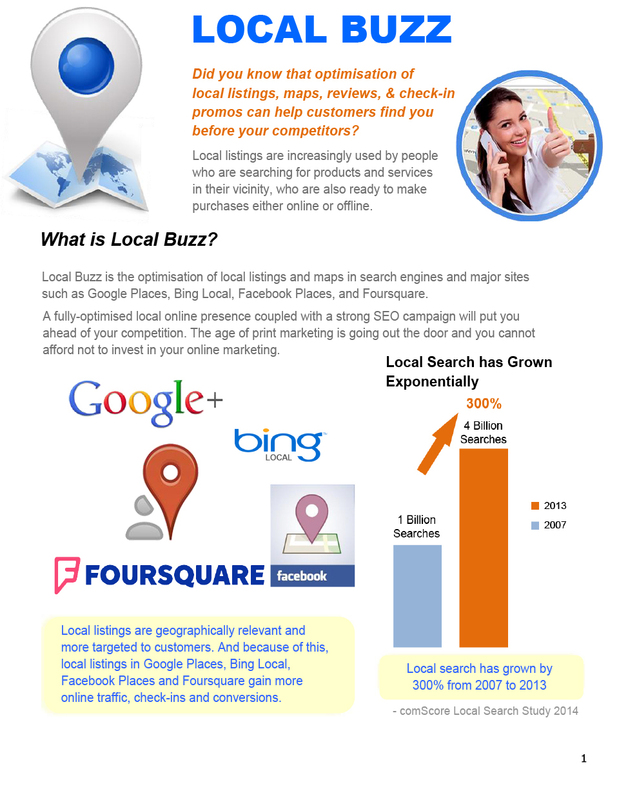 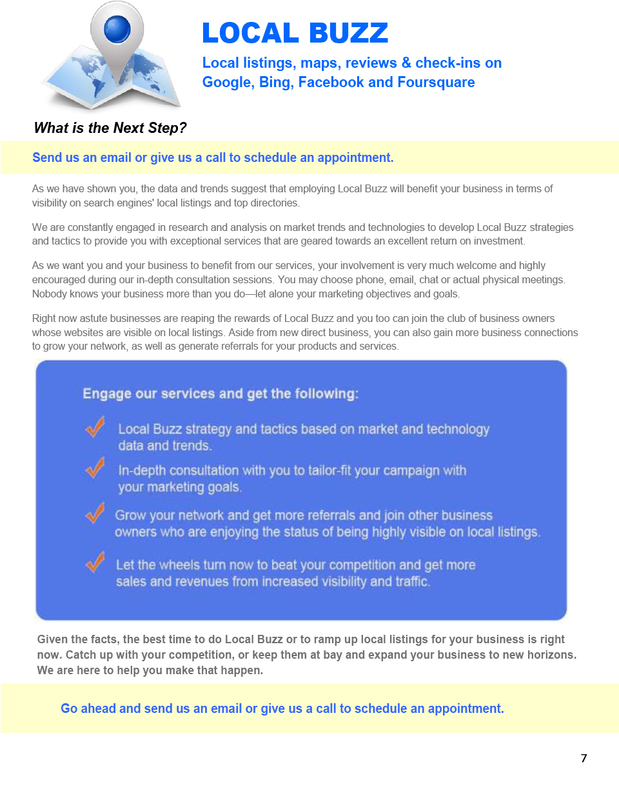 Local Buzz is the optimisation of your presence in local listings, maps, and reviews in search engines and major sites such as Google Places, Bing Local, Facebook Places, and Foursquare to make your business searchable and increase its visibility online. 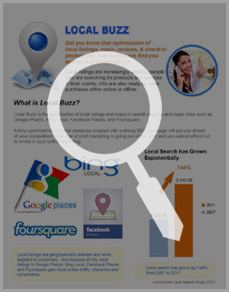 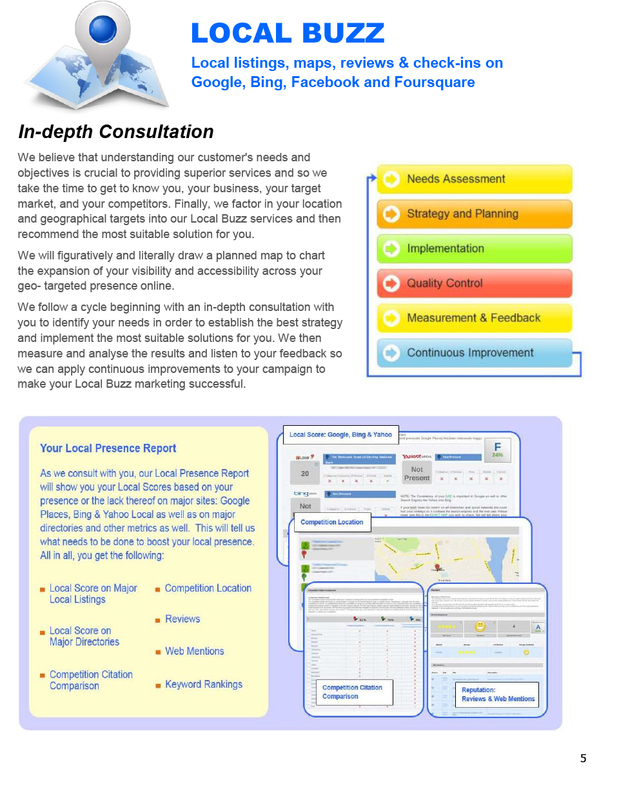 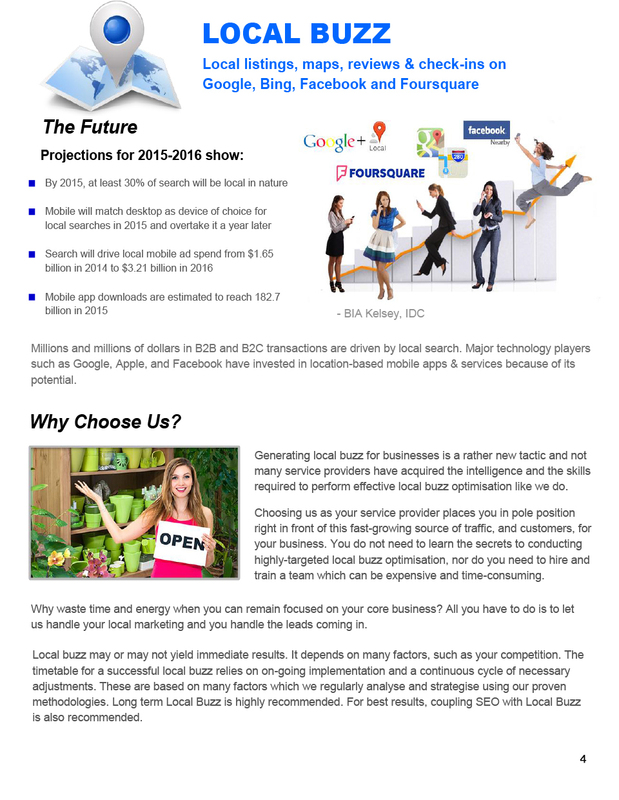 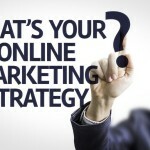 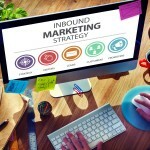 Did you know that local search has grown by 144% from 2007 to 2011? 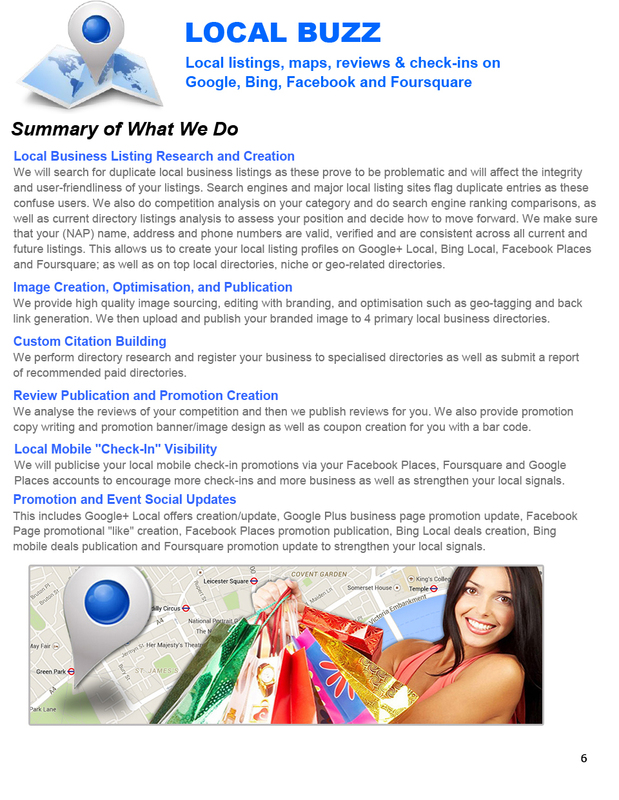 Local listings on Google Places, Bing Local, Facebook Places and Foursquare are geographically relevant and are more targeted to customers. 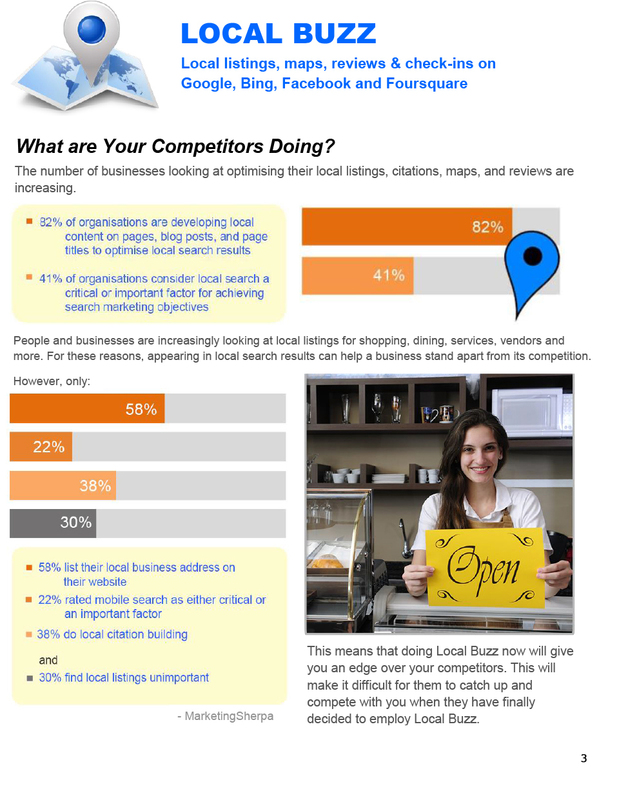 Local Buzz capitalises on local listings search with reviews, check-ins, and promos to increase your visibility and induce a viral effect in the local scene. 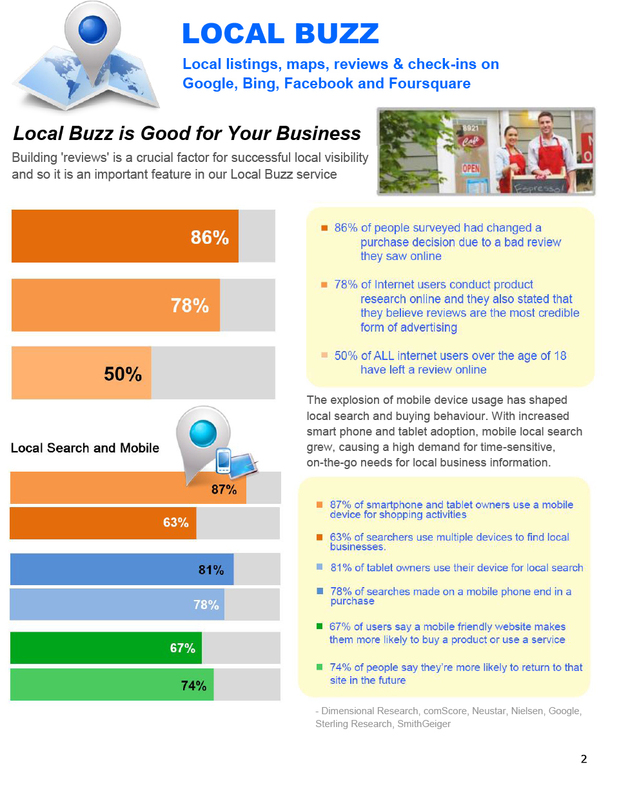 The rise in mobile device usage has changed local search and buying behaviour causing consumers to search on-the-go for instant information found in local business listings moments before they actually drop by and buy.